This week, Australian-born Latvian citizen Kris Akenfelds is back for another edition of his "Akenfelds on the Issues" column. 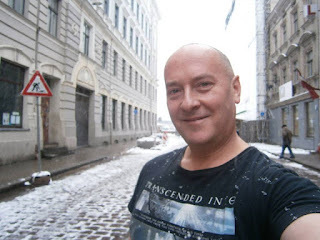 Do you remember how we reported about about that Australian guy who flew from Cambodia to Tokyo, Japan to attend the Latvian Embassy in Tokyo so he could vote in the Saeima Elections? That was him, and he's here this week to discuss parliamentary immunity. The opinions expressed in this column are not those of Latvia Weekly's. 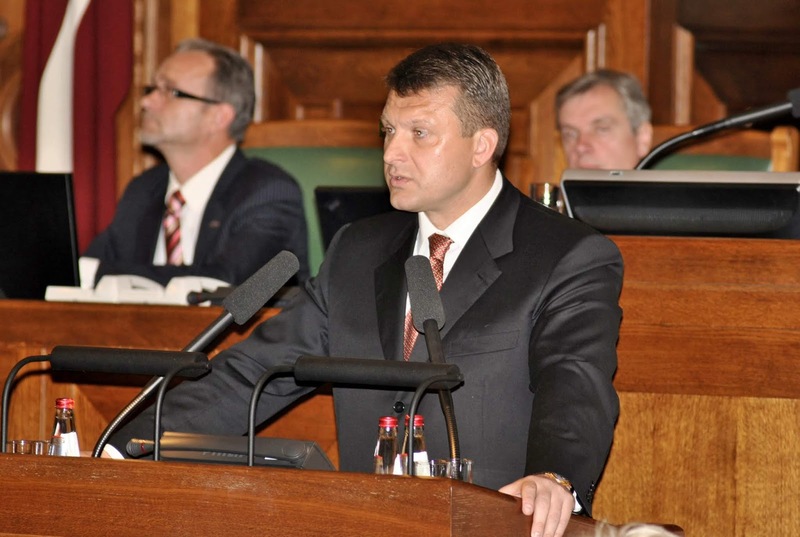 This is also the first of a two-part series about Saeima deputies' immunity from prosecution. Our podcast co-host Otto Tabuns will be publishing a response tomorrow in favor of Saeima deputies continuing to have immunity. So said the ancient Greek philosopher Aristotle some time during the 4th Century BC. 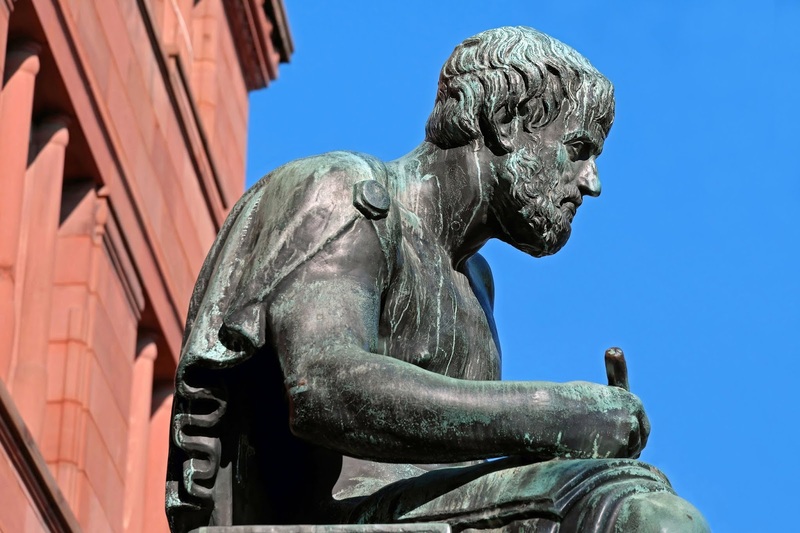 The notion of Rule of Law had its conceptual birth almost two thousand years before European nation-states started to make their debut. Article 29. Members of the Saeima shall not be arrested, nor shall their premises be searched, nor shall their personal liberty be restricted in any way without the consent of the Saeima. Members of the Saeima may be arrested if apprehended in the act of committing a crime. The Presidium shall be notified within twenty-four hours of the arrest of any member of the Saeima; the Presidium shall raise the matter at the next sitting of the Saeima for decision as to whether the member shall continue to be held in detention or be released. 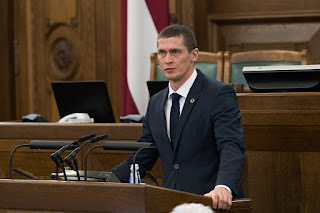 When the Saeima is not in session, pending the opening of a session, the Presidium shall decide whether the member of the Saeima shall remain in detention. Article 30. Without the consent of the Saeima, criminal prosecution may not be commenced and administrative fines may not be levied against its members. While Article 29 kindly permits the agents of law enforcement to arrest deputies of the Saeima in flagrante delicto, it basically empowers a bunch of politicians to place one of their peers outside of the reach of the police, and beyond the force of the courts. All the offending deputy must do is win a popularity competition among 100 people who in turn have won a popularity competition. That is most certainly not rule of law. It’s not even an apology for rule of law. The Republic of Latvia is by no means standing alone in this world by having a clause (or two) that provides immunity to its legislators. However, it would be difficult to fall back on that fact alone as a defence for the existence of the two articles. Indeed, it doesn’t, as the Saeima found out in 2011. On the 28th of May in that year, the Saeima voted against lifting the immunity of Ainārs Šlesers, who was at that time a deputy of the Saeima accused of money-laundering, bribery, and a raft of other crimes. Šlesers, considered by many to be one of Latvia’s oligarchs, was placed outside the reach of the law by his parliamentary colleagues. This writer is yet to hear a coherent reason as to why that was considered necessary. Surely if he was an innocent man, that would be established in the Latvian courts. And surely if he was indeed culpable, he should have been committed to the due processes of the land. We may never know the truth of the matter. One thing is certain: Šlesers was able to win one of the most important popularity competitions in his entire career. Popularity among his peers ruled the day, taking precedence over the laws of the land, compliments of two constitutional articles that make an absolute mockery of the sanctity of rule of law. The citizenry of Latvia were outraged and it would not take an Oxford Scholar to understand why. President Valdis Zatlers reacted by using a reserve power that no other Latvian president – before or since – had used: He called a referendum to ask the voting populace if they wanted to dissolve the Saeima, which Zatlers alleged was controlled by oligarchs. On the 23rd of July in that same year, 94.3% of Latvians who voted seemed to agree. It was a very convincing result, even if only around 44% of voters decided to show up at a polling booth. On the 17th of September, a new government was elected. Sadly for Zatlers, the Saeima made sure he would not continue as president. He was gone from office before the referendum even took place. The Saeima decided to hand that role to one of the richest men in Latvia. Recently, it appears the Saeima has taken a stronger interest in rule of law. Where the institution may have taken a rather cavalier attitude to an oligarch accused of serious financial crimes, the same could not be said about a man who considers himself a whistleblower while being accused of releasing “state secrets” to the media. On the 31st of January this year, the Saeima did not hesitate to lift the parliamentary immunity of Jaunā Konservatīvā partija (JKP) member Juris Jurašs. It seems that renegade whistleblowers don’t command the same kind of cachet in élite circles as hyper-wealthy oligarchs. From out of nowhere, the Saeima became a bastion of Rule of Law, with 73 deputies voting that Jurašs must face the music. To his credit, Jurašs also voted to face the music in an admirable display of moral fortitude that is rarely seen in public life and was worthy of a standing ovation. During the heated debate that took place, members of the Saeima from one side of the chamber to the other declared that the Saeima is not a court and that it shouldn’t act like a court. There was a great degree of unity among those who believed that placing Jurašs into the hands of Latvia’s judicial system was the just thing to do, because criminal cases should be decided by courts, not by politicians. The Saeima has spoken and many, no doubt, would agree. Let’s hope the 13th Saeima can sustain that stance, because if some top-end grub ends up being grabbed by Latvia’s anti-corruption police within the next four years and the Saeima choses to protect that individual’s immunity, there’s going to be hell to pay. That’s this writer’s prediction. 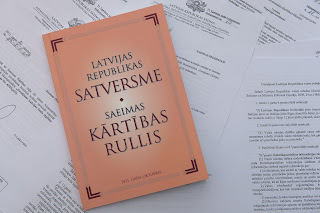 If, indeed, the current Saeima is sincere in its conviction that the Saeima is not a court, and politicians should face the processes of justice no differently to any ordinary person in Latvia, then maybe they could demonstrate that to all of us a little more convincingly but voting to remove Articles 29 and 30 from the Latvian Constitution. To be sure, there is an argument that politicians need an extra level of protection that is not normally afforded to ordinary citizens due to a risk (real or imaginary) that politically motivated machinations could take place that cause the police, the prosecutors, and the courts to engage in a witch hunt against a politician. This would be akin to unseen powerful forces acting behind the scenes operating the state’s institutions like a mafia turf war. However, the irony that a coterie of politicians should be charged with the task of making sure that something isn’t politically motivated does seem like a paradox direct from the pages of Lewis Carroll’s Alice In Wonderland. Moreover, if this is a legitimate fear, then it stands as patent that the time has arrived for reforms to be implemented within the police, the judiciary, and the General Prosecutors Office in order to ensure that those institutions are at all times independent, impartial, and professional in their conduct. Whatever the case, Articles 29 and 30 need to be written off the books and all possible efforts need to be made to ensure that neither article will ever serve any necessary purpose. This is something that all Latvians should be demanding from their elected government. Kristofers Akenfelds is an occasional columnist for Latvia Weekly. He hates pineapple on pizza, oligarchs, and corruption. Make sure to press "subscribe" at the top of the page to know when every new edition of "Akenfelds on the Issues" and other great articles about Latvia will be released, and like us on Facebook for important stories of the day each evening! One man has the fortitude to express the opinion of the silent majority, Kristofers Akenfelds! Paldies and thank you! I intend to keep addressing topical issues such as this because I want Latvia to eventually become the best country in the world.